Businesses rely on career professionals with strong SAS knowledge and skills. Set yourself apart from the competition by earning the only globally recognized credential endorsed by SAS. 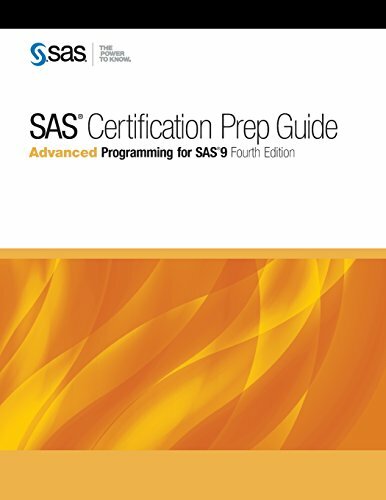 The SAS Certification Prep Guide: Advanced Programming for SAS 9, Fourth Edition, prepares you to take the Advanced Programming for SAS 9 exam. Major topics include SQL processing with SAS, the SAS macro language, advanced SAS programming techniques, and optimizing SAS programs, as well as a new chapter on creating functions with PROC FCMP. You will also become familiar with the enhancements and new functionality that are available in SAS 9. New or experienced SAS users will find this guide to be an invaluable resource that covers the objectives tested on the exam. The text contains quizzes that enable you to test your understanding of material in each chapter. Quiz solutions are included at the end of the book. Candidates must earn the SAS Certified Base Programmer for SAS 9 Credential before taking the SAS Advanced Programming for SAS 9 exam. You’ll find instructions on how to obtain sample data when accessing SAS through SAS Enterprise Guide, SAS Studio, SAS University Edition, and the SAS windowing environment. This edition provides significant improvements to numerous examples, making the code even more efficient. Experience is a critical component to becoming a SAS Certified Professional. This comprehensive guide along with training in SAS SQL1, SAS Macro Language 1, and SAS Programming 3 are valuable resources designed to help you prepare for the Advanced SAS Certification exam. If you have any questions about this product by Institute Sas, contact us by completing and submitting the form below. If you are looking for a specif part number, please include it with your message.